One man. One hour. One million people to save…Over the remote central Pacific, an airliner is rocked by a massive explosion and plummets into the ocean, leaving no survivors. Twelve hundred miles away in Hawaii, Kai Tanaka, the acting director of the Pacific Tsunami Warning Centre in Honolulu, notes a minor seismic disturbance but doesn’t make the connection with the lost airplane. 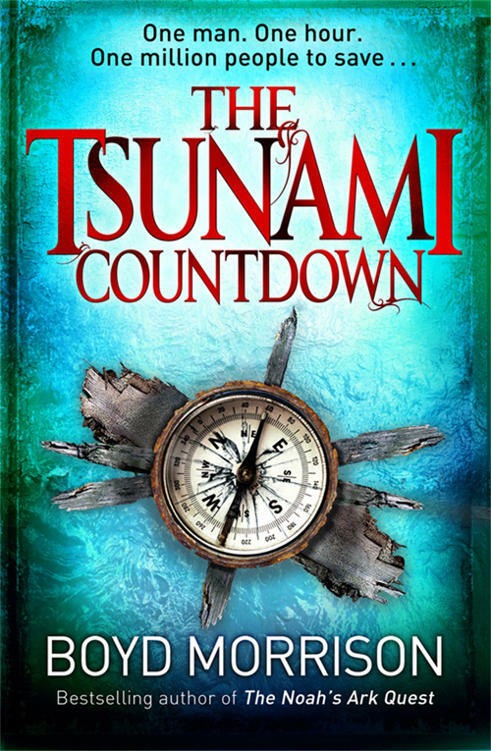 He has no reason to worry about his wife, manager of a luxury hotel, or his daughter, who is enjoying the sunshine at Waikiki beach.But when all contact with neighbouring Christmas Island is lost, Kai is the first to realize that Hawaii faces an epic catastrophe: in one hour, a series of massive waves will wipe out Honolulu. He has just sixty minutes to save the lives of a million people, including his wife and daughter…Addictive and fast-paced, pitches an ordinary man against the odds in an electrifying and action-packed thriller. You won’t be able to put it down.